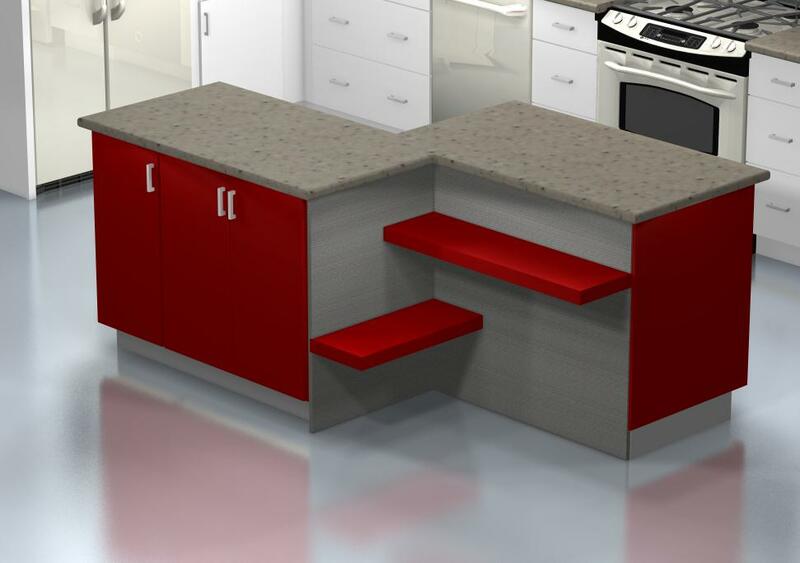 Our designers love taking the Lack shelves and placing them in unusual locations. It’s just that they’re so fun-looking and practical that we can’t resist. A 24” and 15” full-height door base cabinet was designed for each of the island cabinets – leaving a total island area of 48″x 78″. Perfekt stainless steel cover panels were designed behind the red Lack shelves – to match the Abstrakt doors. Stainless steel toekick was used as a final touch to tie-in to the panels. Cubbards, cubicles, crevices, corners and containers can’t begin to handle a crafter’s contents. Crafters know that there is nothing worse than a disorganized work space. Kitchen cabinets sort it all out, especially when combined with with IKEA’s storage solutions and drawer inserts to easily classify and store all supplies. 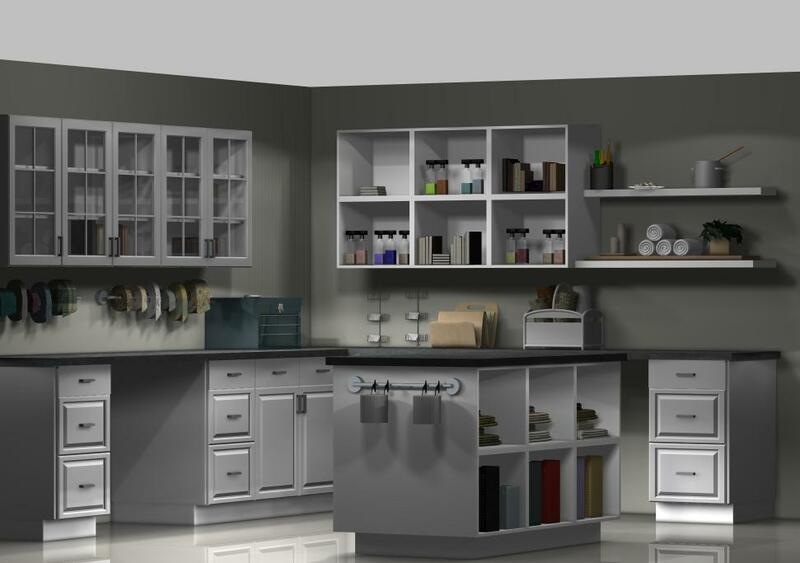 See this idea for a neat IKEA craft room with kitchen cabinets!